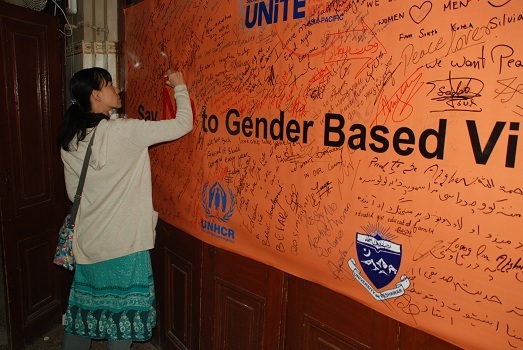 held on 09th Dec, 2014 at PUTA Hall, University of Peshawar in collaboration with Center for Disaster Preparedness and Management, University of Peshawar, Commissionerate for Afghan Refugees and with support of UNHCR. 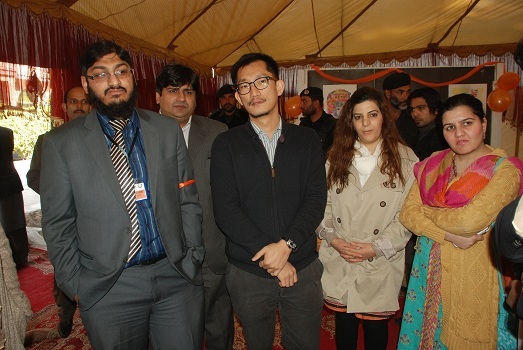 Peshawar, Mushtaq Ahmad Jan, Director Disaster Preparedness and Management, Ms. Wajiha Afzal from UNHCR, Mr.Awais–ur-Rehman Task Manager SACH, Hammad Khan from CAR.accompanied by Zia Ullah Bangesh, MPA-Kohat. They went through all the stalls including paintings. 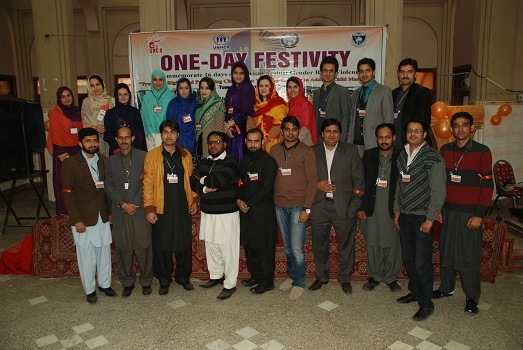 Students from the community, INGOs, NGOs, and other government organizations participated in the event. The honorable Chief Guest and other respectable guests expressed their views regarding this year’s theme i.e. 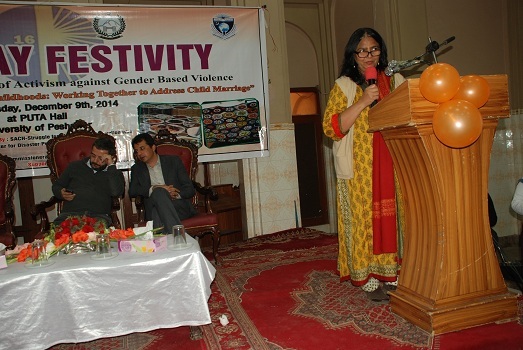 “Protecting Rights and Preserving Childhoods: Working Together to Address Child Marriage”. Painting exhibition was also one of the activities in the festivity, apart from other stalls including cultural dresses and food items. 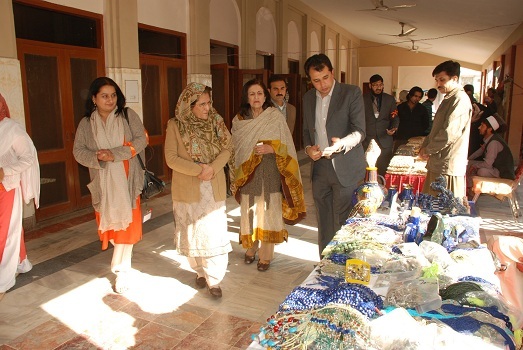 A competition of paintings was also held, the jury members from Arts and Design Department University of Peshawar marked the best paintings. They were given prizes. 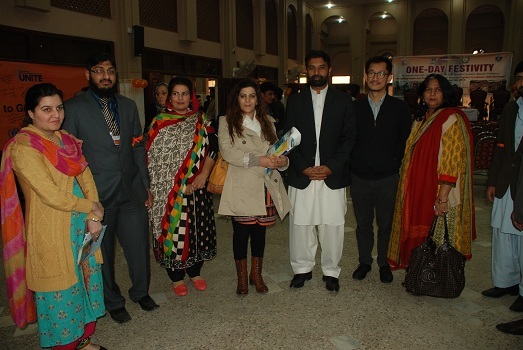 The Executive Director SACH Ms. Khalida Salimi, Mr. Zia Ullah Bangesh, MPA-KP assembly, Mr. Michel and Ms. Anna, Ephraim Tan, Ms. Zaineb, from UNHCR also joined . They all were happy to see maximum participation from the community as well as other government and non government organizations. 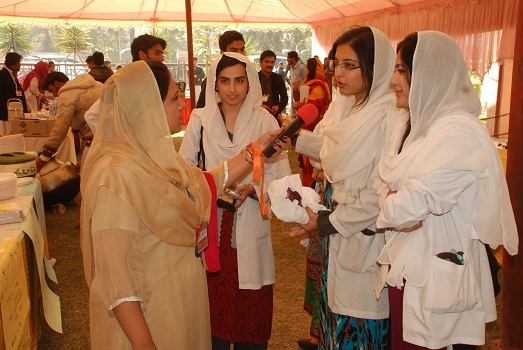 Later in the event, Special Assistant to Chief Minister-KP on Social Welfare, Dr. Meher Taj Roghani, attended the event. She expressed her valuable views, and appreciated the activity arranged by SACH, UNHCR, CAR and Disaster Management. She also desired to organize such an activity especially for women. Protection Officials-UNHCR) and other international colleagues joined the festivity. 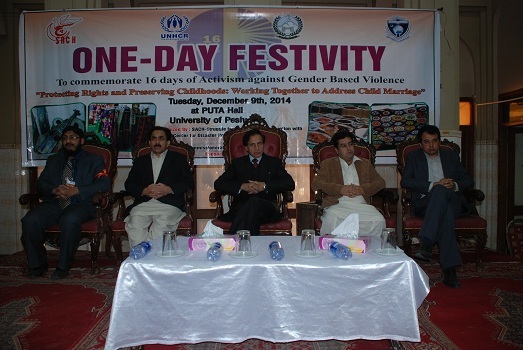 highlighted GBV issues of the Afghan community. against women; said by Mustafa Sarwar. He appreciated the efforts of SACH, CDPM, and CAR and said that through Art exhibition a message regarding early age marriages went to huge public. The stage secretary gave briefing on painting exhibition and its Jury members. 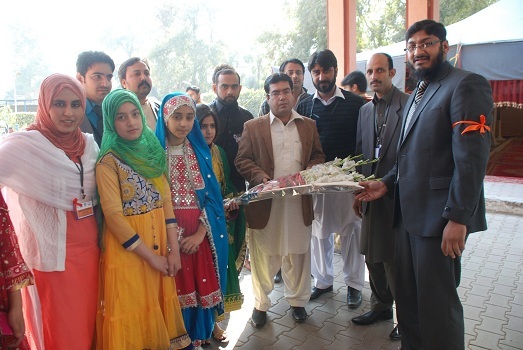 Ms. Khalida Salimi and Mr. Mustafa Sarwar distributed prizes among the painting winners. 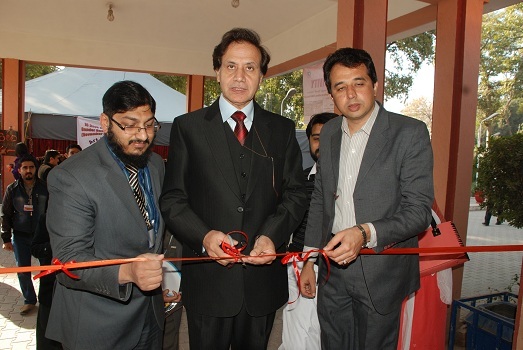 Mr. Mushtaq Ahmed Jan, Director-CDPM appreciated the efforts of SACH. He said that involvement of youth in such events is necessary. He said that CDPM is working with different NGO, INGOs and UN agencies and in coming years he is looking to work jointly with SACH. At the end of the event, Ms. Khalida Salimi, Executive Director-SACH thanked all the honorable guests, CDPM, Afghan Community members, representatives from different organizations for their active participation.